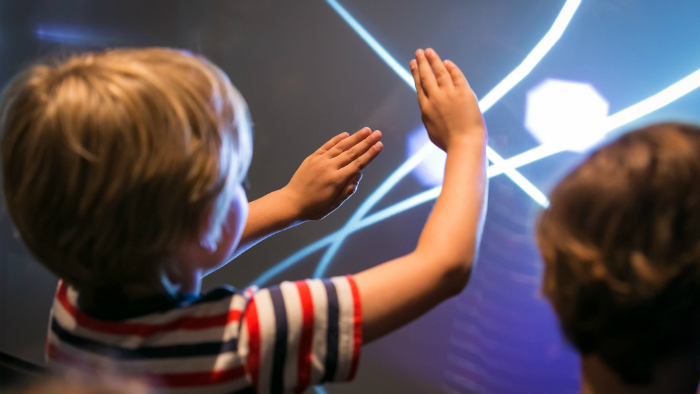 Brief: Every school holidays Sydney Opera House runs a Creative Play program in the western foyer. 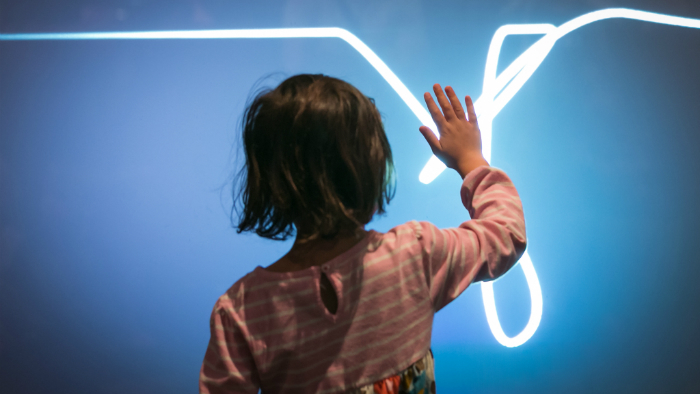 The Unbroken Line is one of a number of interactive art commissions that we have developed for this program. The core goal of Creative Play is to empower young people to be artistic and collaborative. Creative Play installations need to be accessible, simultaneously accommodate a large number of participants and be suitable for both long (hours) and short (five minute) engagements. Response: We knew Unbroken Line was going to be a screen project but we wanted to get away from ubiquitious touchscreens. Instead Unbroken Line is an extra large ‘bodyscreen’. 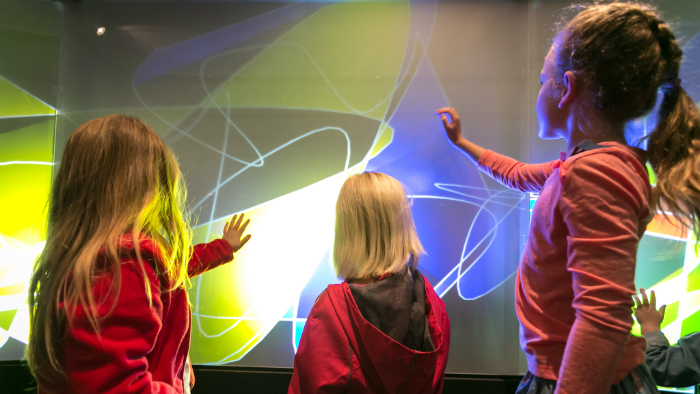 Bodyscreen is a term we coined to describe our unique interactive technology where instead of detecting touches like a conventional screen it detects hands, arms and body parts before they contact the screen, creating a different dynamic between participant and surface. 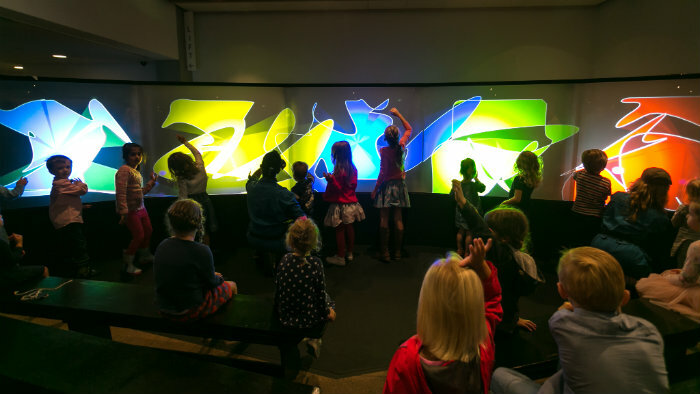 The custom interactive app is based on the idea of a single continuous line that can be manipulated by a large group of people. The line can be configured as a single line or a number of shapes. Results: The installation was in high demand throughout the school holidays. The Opera House is an attraction for visitors from across the globe and a highlights was seeing english speakers and non-english speakers collaborating together to create an artwork.